There is a large volume of public disclosures over the past several months involving sophisticated (and some not) with mature defenses being breached. The most visible ones are not from small startup companies that were lean on their defense, but instead these are being perpetrated against those organization’s with the resources and skills to muster a good defense. The lessons of these public disclosures (note being public – as more are likely not being publicly released) is the need to reflect and adjust. A comment i made in February regarding the need to continue building and evolving security through risk assessments. Information protection is about conditioning and not about the latest fad. Certainly the latest fad requires attention, but so does historic attack methods. So, what is interesting of the recent compromises. First off, sharing and depth of defense. Barracuda Labs had a breach, and they published very specifically what happened. What is positive about this breakdown is that they articulate precisely what was taken, and how they are CERTAIN that was it. Their technology and analysis do not have words of legal or marketing anywhere, and therefore are actionable. Amazon AWS… this affected many more people and for many days the impact was unknown. This was more an operational breakdown for businesses than perhaps an information protection process. There is a decent timeline of the web services’ updates here, and from it one can tell that great effort was taken by Amazon to address the challenges. Unfortunately, for businesses trying to take action there was no clear point where clients using Amazon should activate their disaster recovery plans. Given processes were coming online incrementally I understand that decision is challenging. In addition, the plethora of terminology probably made all system administrators and CIOs review their deployment maps more than once. The take away here is – understand precisely what services are being provided and where (as much as you are able), and secondly have your own plan that depends on your own customer’s expectations. This is leading practice, but can get lost in these serious moments. Admittedly the Amazon example is not a breach – though think of the potential if it was an attack on the infrastructure of Amazon’s cloud environment and how extremely valuable that landfall would be to criminals and nation-states. Then there is Sony’s network that was attacked and required a complete shutdown of the service to extricate and stabilize the environment. Three separate posts by Sony on their blog here, here, and here. This attack highlighted that, despite the business model, sensitive data is sensitive data (PCI). In addition, an idea I have been discussing with colleagues is the potential for bot armies. Consider that playstation consoles have very strong computing platforms built-in and are used by graphic companies and military for high end computing (1,716 linked make 1 super computer!). Also consider that at least 77 million devices connect at some point to the Playstation network, receive updates, transmit data at high speeds, and are all likely not disconnected after a gaming session. The point being, a single hardware platform running basically identical firmware, connected on high speed broadband .. sounds like a perfect bot army to me. There has been much written on these events above and I encourage all to deeply understand the executions. My intention above, as always, is to provide a different context to these events, their meaning, and perhaps some actions to be appropriate by you. I spend a great deal of time on global security programs where the focus is beyond the bit and bytes (finally) and includes the people process side of the equation surrounding information security. One may argue this has always existed when just looking at the regulations and standards we have built our compliance programs around. I would politely highlight this is not always the case and not to a sufficient level. A common challenge in the security world is that a lot of bad can and does happen online. The only difference between what scares people one day to the next, lies in what is being focused on. Exposed emails are nothing new; financials leaked on torrents; or simply the acronym APT are not as new as they appear. What is substantially new is the emerging device universe and the consumerization of tools beyond and into the enterprise. In the late 1990s web browsers and websites allowed fields that went unchecked by the server – why? Well, there was no reason anyone would send a bazzillion letter ‘A’s, or would type in SQL statements that might interfere with the database backend, right? Switch to 2011, and with smartphone devices we have new platforms and a model where assumptions are being built into the applications and interfaces on what the users will do. It is a given that we are wiser today on these points, but with the release of new code and applications the level of complexity increases rapidly on each device and technology ecosystem. The consequences of these individual applications interacting on the same device have yet to be realized. Another point of view is what happens with the data being handled by the service provider? As organizations switched to mobile sites 3rd party systems were used, but those are being pushed aside by custom built and iOS type applications. As was highlighted in a nice little post by Dan Wallach – not all communication settings are adhered to for every device and every channel (his example Android and Facebook). There is an immense opportunity to reduce current and future difficulties by reflecting on the past and applying the correct safeguards in place today – completely. Coverage is key – without it, we are just plugging holes and hoping others don’t look at the others. Day 3 started off early and I jumped right into any advanced technical topics I could find. Overall the sessions were very good with a single disappointment. My apologies for odd english and incomplete notes… pretty tough recalling all the points that jumped up during each session. The great news is that these presentations will be available online! Key issue in virtualization is that audit and security requirements must consider virtual “images” as they are files and can be moved, copied, and such very easily. In addition, a balance must be established to ensure that the inherent flexibility of virtual machines of being transportable is not handicapped (as this is a key value point). Copying a virtual machine (file / directory) is equal to stealing a server from the server room. A developer took a virtual machine that ran the check transactions for an organization that was having errors into a QA environment for testing, and placed it onto a clean QA server. He then ran tests against the system. What happened is that the system didn’t “know” it was in the QA environment, and began process the transactions that were queued in the system. The result was the system completed its open tasks and these were duplicates of the ones being run by the other ‘original’ image running the checks. Cloud can be considered as a new IT service that is commoditized and cheap. Resulting in a lower barrier of entry, lower switching costs, and lower visibility and control. How do you know the cloud environment provider is able to satisfy the concerns that exist within the Cloud? Less than 20% state they are interested in deploying cloud technology, and the majority state they are going to put it on internally managed systems. Primary concern is security and control. Assurance related to performance, trust, and reliability are primary drivers away from greater adoption. Barriers to Enterprise adoption include – Security & control and Protecting sensitive information. IT teams are becoming the Auditors of the Cloud providers – a role has tremendous risks to both the enterprise and the Cloud experiment. What will drive priorities? – Education; compliance & regulatory pressures; public exposure. *Nimrod Vax gave a nice presentation. He started off very basic focusing on definitions, but the middle and end focused nicely on specific risks related Cloud and Virtualization. I felt the session sometimes overlapped the two environments – Cloud vs. Virtualization, and subsequently the risks and controls. Overall very good and well worth it. Well done. A lively discussion with 8 people was held in the main conference area on Cloud computing. Specifically we were discussing the risks and levels of assurance that can be achieved in the market, as it is today. In addition to myself, there was Becky Bace (renowned technology expert), Tim Minster (Cloud afficionado), Lynn (Executive chewing on this Cloud thing in ‘real life’), and several others who I could not recognize. The intent of using the Cloud – i.e., is this a pet project business case or the payroll systems? Clouds today should not house PII, PHI, Regulated, or Confidential information. When putting Cloud technology to work the parties must understand what they are receiving from each specific Cloud provider – each one provides different levels of granularity and assurance through service level agreements and access to 3rd party audit reports. Consider Cloud as a Utility – such as power. If you want to protect your assets in your home you buy a security strip and UPS. 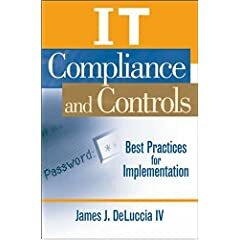 Same should be considered on low cost Cloud-Utilities, in that deployment of end-level encryption, firewalls, IDS, and proper system level security are required. These additions, which would exist regardless of the physical locality (meaning Data Center or Cloud, they are needed regardless for certain levels of assurance), provide degrees of assurance based on the intent of the organization. Translating the Cloud architecture to the ‘Old Data Center’ model is key to providing the clean mapping of Common Controls and regulations to these systems. These Cloud Systems should be managed with the understanding of the new risks as a result of being multi-tenant and hosted. Data management and classification are still required in a Cloud environment, and must be considered for such things as cross border data crossings and long term management. Action items – support Cloud initiatives; understand the risks to such operations; place sufficient controls in place, and communicate these to the auditors and management accurately. Great session on SOC – best practices; setting one up; auditing a 3rd parties, and ensuring success in the long term. I didn’t see the entire session as I was in another session and left it early and found Ben’s very helpful. I would recommend downloading his presentation for auditors or 3rd parties vetting a SOC, as he gives tremendous detail on how these facilities should be run; how to measure them; and how to make the business case for setting these up. The evening discussions were with 13 unique individuals from Visa Europe, KOBIL, People Security, and several other organizations. The discussions went through an immense amount of topics and was hugely valuable. Thank everyone for joining and sharing their great experiences! Day 2 was fantastic. Mid-point opinion of RSA Europe = Above Average (RSA SFO being average), but the sessions need to be increased in complexity… Consensus is that sessions that are advanced could be more advanced with less basic definitions and high level concepts. Otherwise brilliant. Below are my notes and takeways from the first day of RSA London. The day started off with plenty of cinematics and a nature theme opening session by the heads of RSA. The location is fantastic – the conference hotel is very close to good trains in London and there are plenty of things around. While the hotel is a bit of a maze – I am told it is a fair trade off from prior years. Arthur Coviello opened the conference and gave a great deal of specifics regarding the industry. He actually gave a fantastic introduction to my session materials, and that certainly helped the delivery of my own session. (Speaking of my session – I will be composing my session into a paper and posting it online to gather opinion and input). Facebook will exceed 300M users by end of 2009. More information has been created in this decade than “all time”?! All content is created digitally at inception or within 3 months. Today “high value” is in taming the complexities of information and this is the challenge of IT organizations. The challenge of the security industry is to enable these ubiquitous technologies and enable them in a boundaryless IT environment. Hugh have a great session that was both animated and well structured. His presentation reflected a past project where I created algorithms and technology to conduct social cyber forensics using similar mechanisms. He gave a good number of points regarding Data Gateways and I hope that his presentation will be available to help disiminate the definitions and risks. He highlighted (the somewhat obvious fact) that people are posting indiscriminately data online through social sites. There will be a fallout to the information posted online. There should be some kind of education for people on “what to post” online. A takeaway from the Meetup dialogs was if the social norm is to post all this information then the minority is to not. Therefore is it right to educate the masses or secure them for them? Interesting implications regarding security authentication and authorization systems as a result. Highlighted the Jericho forum 2009 Cube and provided very interesting and impactful questions that every organization should know about – need to see if I can find a copy of that slide. In a internal infrastructure situation – if the system to system controls fail it is generally OK. An audit deficiency or a weekend is in order to rectify the error. If such errors or security failures occur at the Cloud Administrator the exposure has an impact – the severity depends upon the breach, information, and audience. Moving to short time contracts with Cloud providers (i.e., spinning up an environment for XYZ project over a measured time frame) introduces requirements to demonstrate that these environments are appropriately secure and compliant. What is the onboarding, management, measurement, and offboarding process occur in these environments? Caution (especially within the EU) is the exporting of data to these providers, and do they maintain the possession in proper approved regions and systems. Restoration of data from backups based on prior / old applications creates challenge when the system is wholly updated and older updates are no longer supported (Think JP Morgan required to provide restored email backups from systems they internally managed that are no longer available by the vendor). Trend in new threats is people taking the entire Virtual Machine images, not just data. This not only is the information but more importantly the HOW and MEANS of delivering the exact same service. The end of evening included the Vendor booths which were significantly smaller than the April conference, but was better due to the quieter and more productive conversations I had and observed. The Blogger Meetup also was Tuesday and it was great. Plenty of very smart individuals and the conversations were all geek, security, compliance, and extensions of sessions conducted during the day. I actually hope that other such evening events will come together to take advantage of the presence of so many experts in their fields. Day 1 was certainly a success. The tremendous focus on Cloud, Social Media Risks, Identity Fraud, and audit was rich and worthwhile. A personal takeway I have is how applicable my hands-on work around securing auditable Cloud environments is for businesses.